The Registrar of the Delta State Polytechnic, Ogwashi-Uku, Mr. Collins Ossai Onyenwenu, has been abducted by yet unidentified persons. 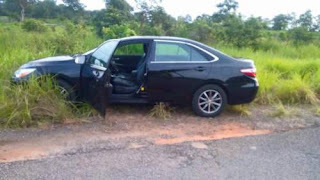 Mr. Ossai, SaharaReporters learned, was seized by the gunmen at about 3.30pm on Saturday while travelling in his official car along Ugiliamai/Onitcha-Ukwu Road in Ndokwa East Local Government Area of the state. 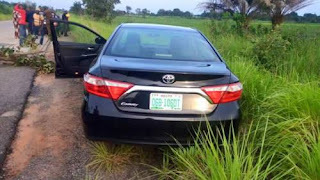 His abductors abandoned the car on the road. A senior lecturer at the Polytechnic, who spoke on the condition of anonymity, said the registrar was driving when he was ambushed and forcibly taken away to an unknown destination. The kidnappers, added the lecturer, are yet to contact the school authorities or Mr. Ossai's family. Delta State Police Commissioner, Mr. Zanna Ibrahim, confirmed the abduction to SaharaReporters and explained that efforts are being made to secure Mr. Ossai's release. As at the time of filing in this report, details of the kidnap remained sketchy. Sources at the Polytechnic, however, told SaharaReporters that Mr. Ossai's abduction may have been masterminded by people from whom he allegedly collected huge sums of money for employment in the institution but were later disengaged by the Okowa administration.